Helpful lessons-learned come from the oddest places. In a Mason 43, the engine sits below the cabin sole (floor boards). 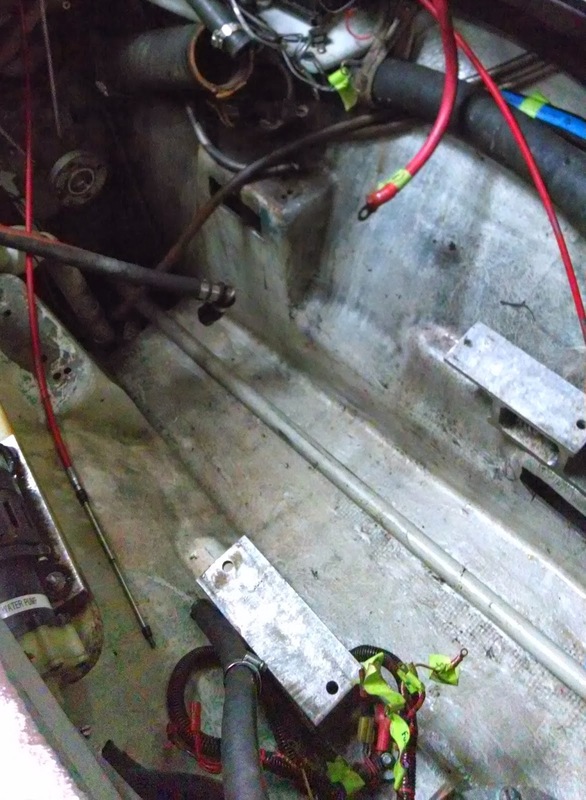 This placement allows for greater living space in the cabin, but makes for a difficult time when working on the engine. 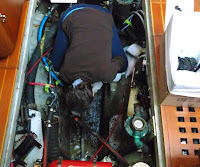 It also means that the area right below the engine -- the bilge -- is very inaccessible under normal circumstances. In the process of replacing our engine we had a couple days between the removal of the old one and the installation of the new. This gave us the chance to get to that spot and clean it, an amazingly grimy task. 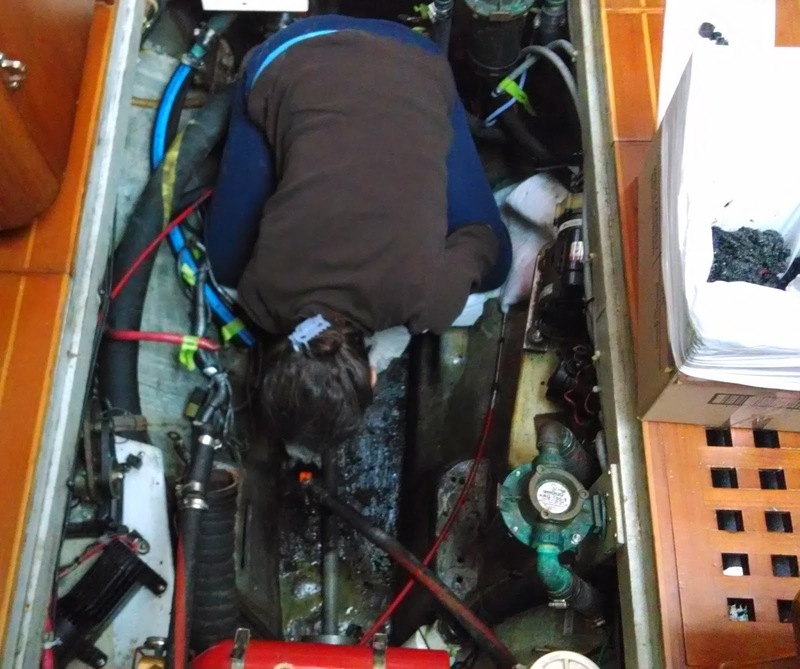 The sides held a modest amount of dirt and grease, but a thick layer of sludge covered the bottom of the bilge: fifteen years of engine oil, diesel, coolant, and dirt. Mixed in were all the things people had dropped and been unable to retrieve: assorted nuts, bolts and other items dropped accidentally. I got the bulk of the grime off easily with a paint scraper, glopping it into a pile the size of a mixing bowl. This left a layer of stubborn grease covering the surface. I was reluctant to use harsh chemicals or smelly cleaners, so this was where my past experience came in. When Nicole was in Kindergarten, she succumbed to the age-old ritual that most school-aged children go through: lice. Her long curls were the perfect insect fortress, but I was ready to fight. We had never cut her hair before, and I resolved not to do it. I felt confident that the repeated special-shampoo washings, fine-tooth combings, and exhaustive hand-pickings left her nit-free. But I couldn't let well enough alone, and decided to make extra sure by using the suffocation method. This approach involves slathering the hair with mayonnaise, covering it with saran wrap, and waiting for any remaining critters to keel over from lack of oxygen. Given Nicole's egg allergy, i decided to substitute Vaseline for the mayo. That was a tremendous mistake. It turns out Vaseline is not soluble in soap. This became glaringly obvious after four shampoos with no diminishing of the thick layer of petroleum jelly. Numerous attempts and google-searches later yielded the solution: Vaseline dissolves in oil. So: slather her hair in canola oil, wash out the oil with Dawn dish soap, repeat... and repeat... and repeat. 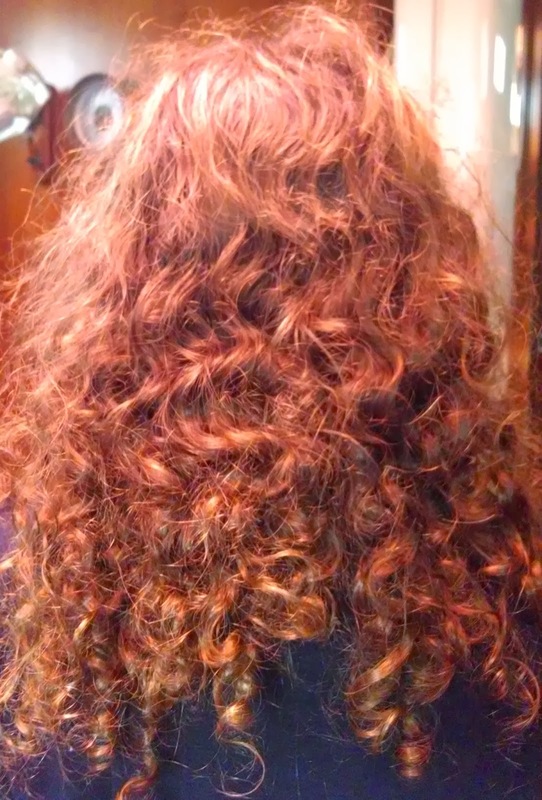 After about a dozen cycles of that she was finally back to clean, critter-free curls. 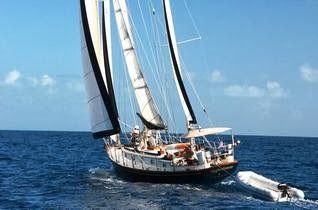 Fast forward to the bilge: how to easily dissolve the layer of mostly petroleum-based grime? Canola oil! The process was similar to Nicole's de-licing: slather on canola oil & wipe away grease with paper towels, spray on some citrus degreaser & wipe with more paper towels, wash the oil and degreaser with Dawn. No harsh chemicals, no toxic smell, and a worthwhile sacrifice of a zillion paper towels. 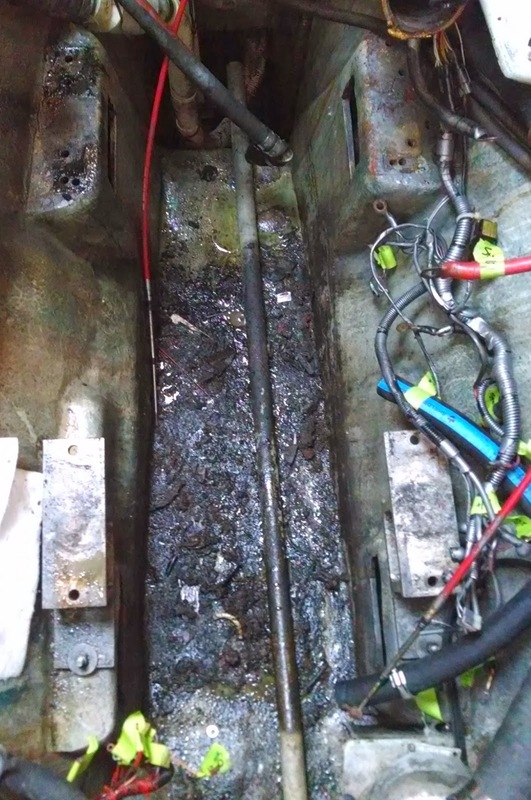 The result: a shining, spotless bilge. It's clean enough to eat off of -- but I won't make everyone go that far.